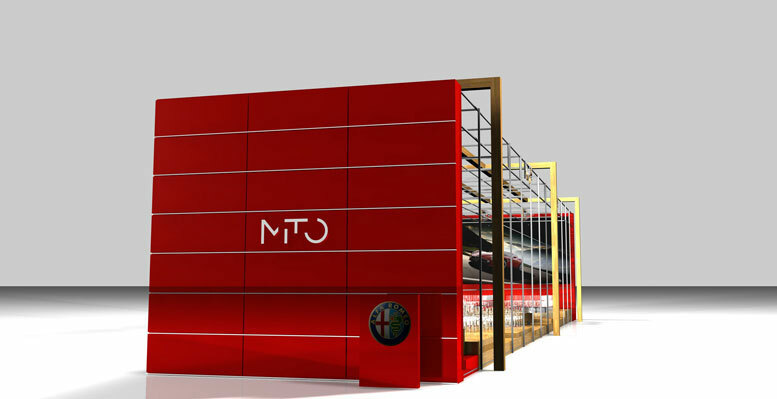 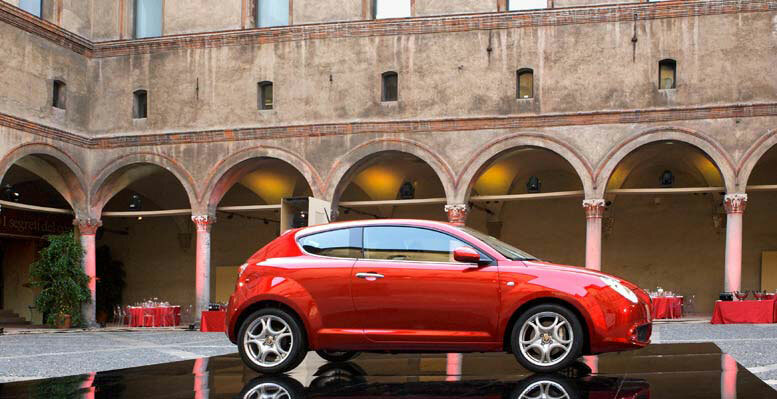 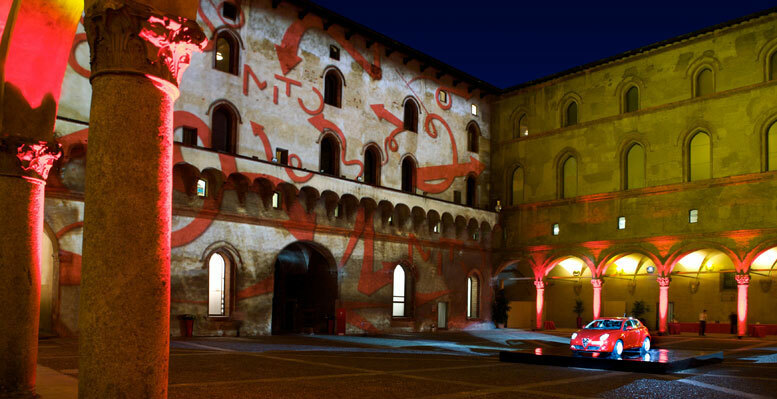 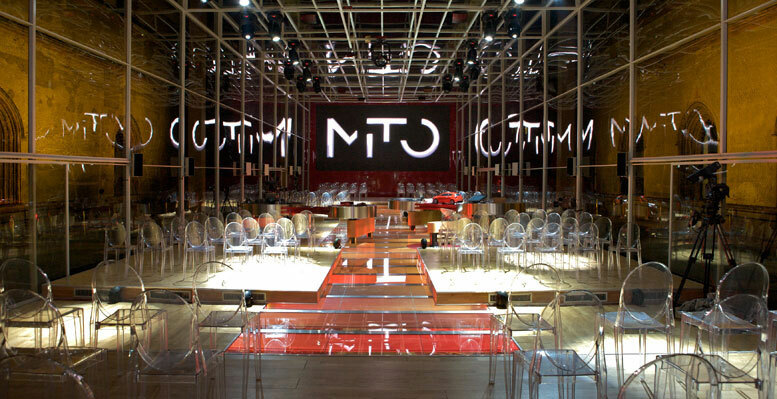 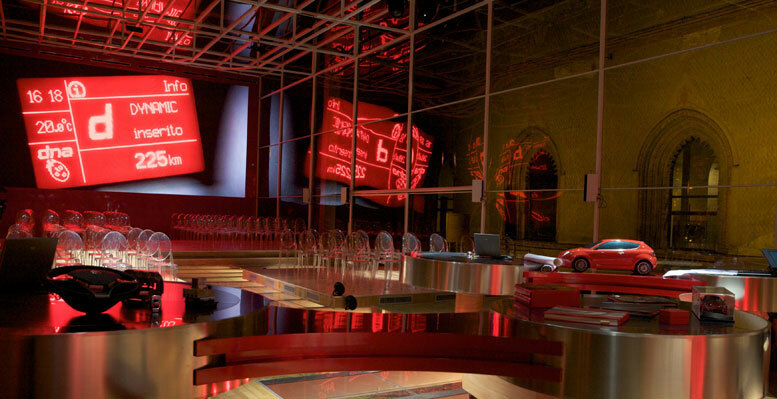 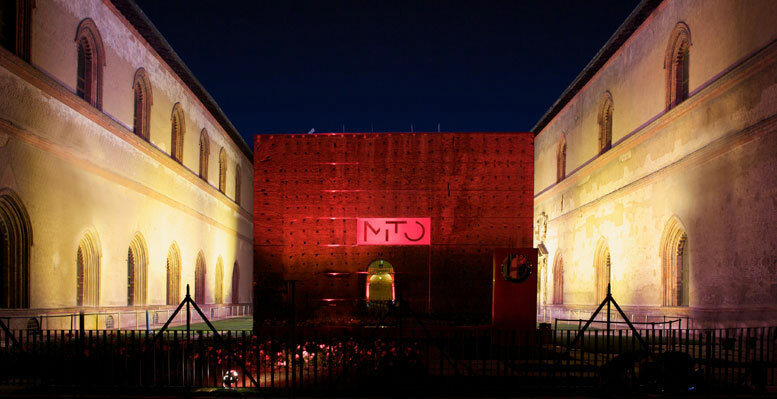 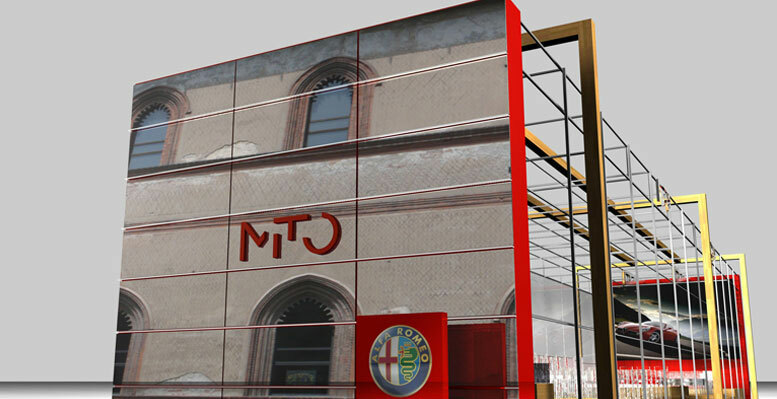 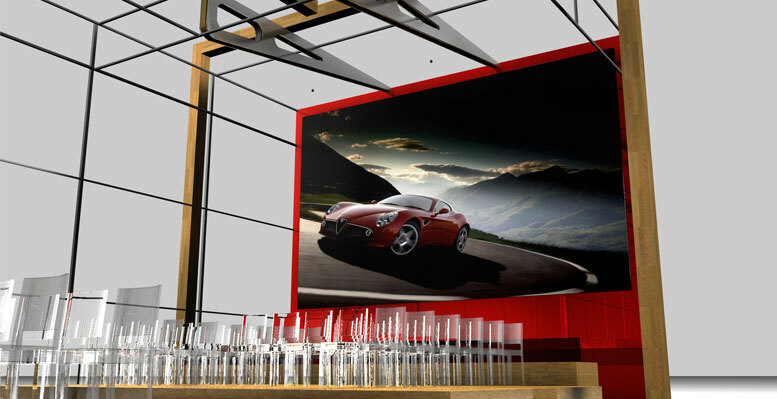 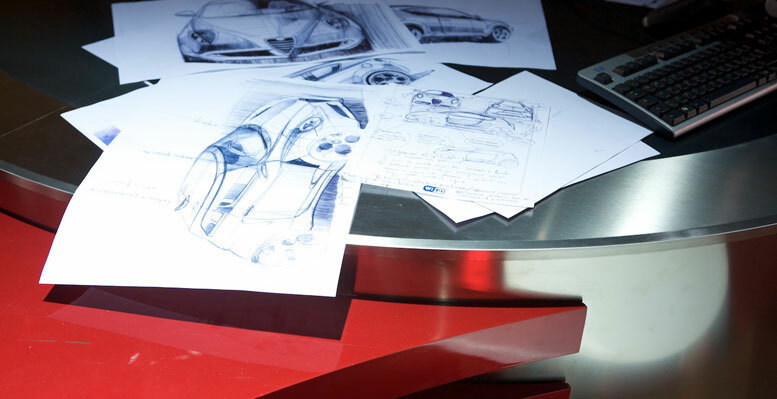 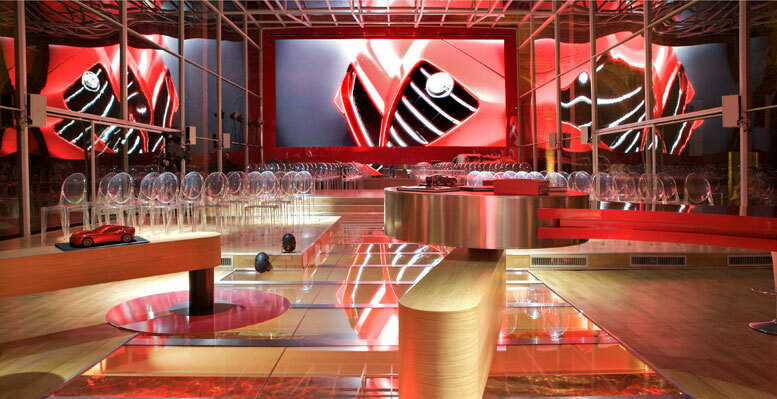 The MiTo name encapsulates Alfa Romeo’s symbolic homecoming to Milan, the city whose DNA the brand carries. 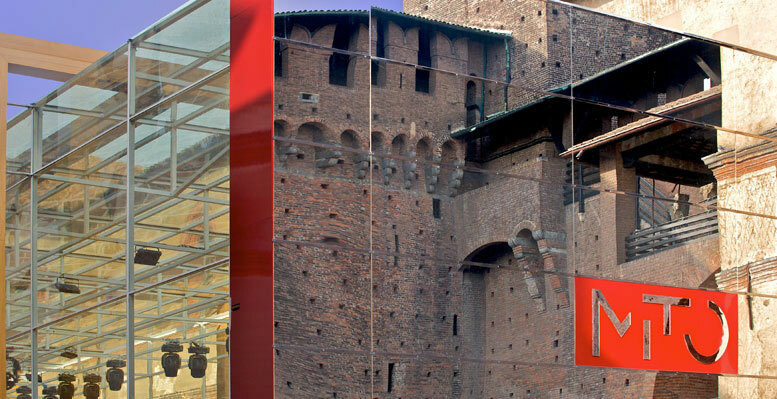 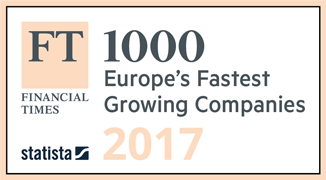 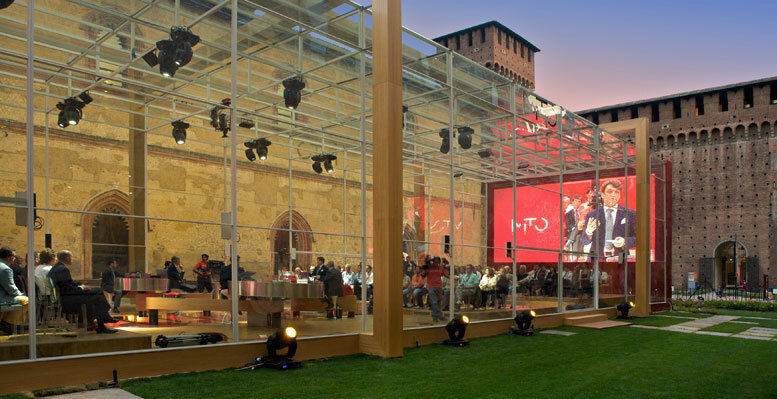 It was this that prompted the decision to organize the international press conference dedicated to the launch in the Lombardy capital, choosing as the venue one of its most evocative locations: the Castello Sforzesco. 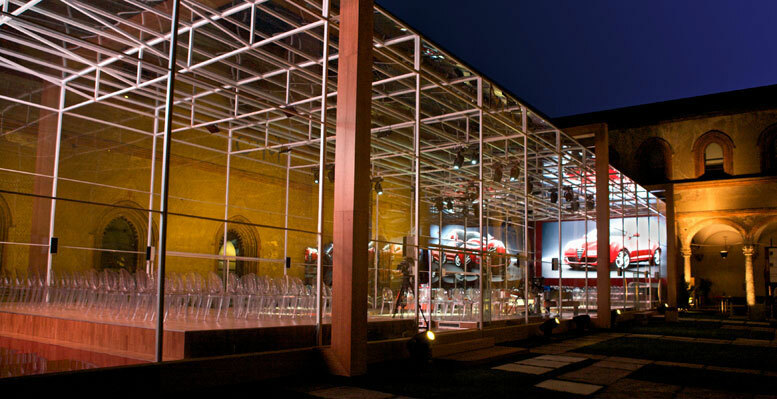 Simmetrico designed and realized a transparent temporary structure capable of expressing the brand values: agility, innovation and elegance, in harmony with the architectural surroundings. 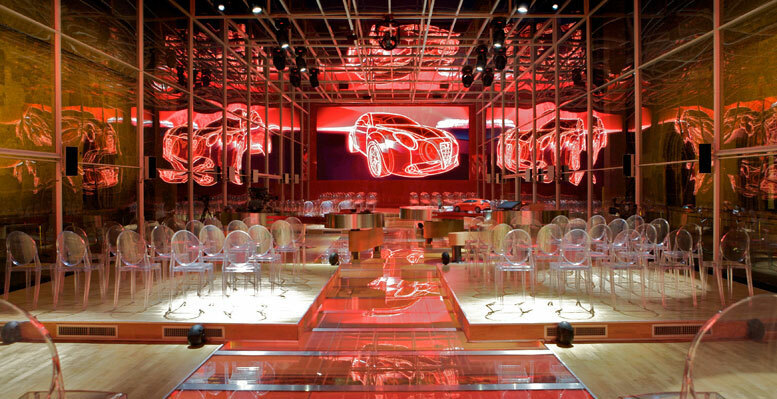 The stage represented, in a seemingly unstructured order, a kind of Leonardo-esque workshop, full of ideas, details, and instruments that together tell the story of the car’s creation.